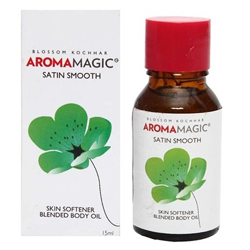 Aroma Magic Satin Smooth Oil - Skin Softener Blended Body Oil - soften & smoothen the skin & make it velvety to the touch. Helps to soften & smoothen the skin. Make it velvety to the touch.